The QPM team are all on board to assist both tenants and property owners alike to the best of their ability. Find our more about our rental property managers in Christchurch below. Associate of Real Estate Institute of New Zealand. Diploma in Business Studies Massey University. Co-shareholder with many years experience as a Christchurch Business owner and for the last 20 years a Property Manager. Having moved from Dunedin to Christchurch, Janelle has previously worked as the Office Manager at The Highlanders, previous to this Janelle owned her own business in the hospitality industry with over 30 part-time and full-time employees to manage. She has a strong administration and business ownership background, and her pleasant and calm manner is an asset to the team. Janelle has just completed her Residential Property Management level 4 certificate. Outside of work, Janelle enjoys keeping fit, travelling and family time. Janelles door is always open. Angela has been in the Property Management industry for 6 years, initially as a Property Manager but more recently as an Administration Manager. Angela's attention to detail, coupled with a focus on process, ensure accurate and timely payments to owners and suppliers along with other facets of the financial administration of the business. Outside of work Angela enjoys spending time with family and friends. Trish has recently returned to Christchurch after living on the West Coast in Greymouth for the past two and a half years. While there Trish worked for a Real Estate company doing part time Property Management, Reception and Real Estate Administration, and thoroughly enjoyed the variety this position bought. Previous to this Trish had positions in the Security industry. In her spare time Trish loves to dabble in DIY projects, renovating, decorating and landscaping. Trish also likes to keep fit playing a bit of squash and running around after her grandchildren, Trish is enjoying being back in Christchurch. Jane has worked in the Property Management sector for the past 7 years, and enjoys the everyday challenges involved in her role. She prides herself on a superior level of customer service, both to her landlords and tenants alike. Jane also values the opportunity to develop professionally within her role, allowing her to achieve personal goals whilst serving the needs of others. I chose to work for Quality Property Management as the staff are friendly and all the team are goal and results focused and motivated to achieving great returns for our owners. My previous work experience has been in the banking field and office management. I have always had a passion for property. In recent years I have managed a 5 star hotel and have been a Property Manager for residential and commercial properties. I relate well to people from all walks of life which is a definite plus when communicating with owners and tenants. I am family orientated and enjoy spending time with my partner and being a hands on nanny to my 5 grandchildren. For fun and fitness I am part of a Masters Tap Dancing group. I look forward to working with you and looking after your Investment Property. Having just returned home after 5 years living and working in the U.S. Colleen is bringing her experience in managing a large Apartment Community of 378 Apartments with her. Working for one of Silicon Valley’s prestigious investors she has vast experience with not only owners but also their residents. Property management is an ever changing fast paced role with no 2 days the same. Having a manager that can adapt to constant changes, who is receptive, understanding, level headed and compassionate, that you can trust to get the job done in a timely manner but also build rapport and trust with our valued owners and residents is no easy task. Colleen has taken on her role with her expertise and experience all in her stride and all with a pleasant smile! Prior to working in the U.S she had been in Real Estate for 4 years but found her love for Property Management in the U.S. Simply put, Properties, Owners and Residents and putting them all together is what she excels at! Cheryl more recently had experience in Real Estate; previous to this Cheryl owned and managed garden centres and had a teaching career. Her experience working with people in these industries lends itself well in her Property Management Role here at Quality Property Management. Her genuine bubbly personality, winning ways with people and extensive sales experience has helped make her career transition an easy one. Her dedicated and professional approach and empathy with people continually leads to successful outcomes. Now that her family have all left home, she enjoys helping her husband with their lifestyle block and visiting their children who all live in Australia as often as she can, especially to see their seven grandchildren. Cheryl’s interests include are plants, flowers and gardening and until recently her love of singing as a member of the Christchurch City Choir. 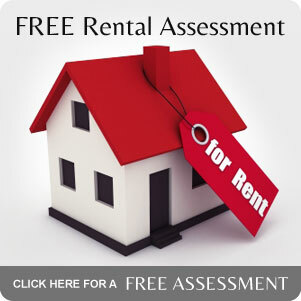 Contact Cheryl today to get a no-obligation free rental appraisal today.